This hose has good oil resistance, excellent resistance to acids, alkalis, and many solvents except esters, ketones and aromatic hydrocarbons. Formulated to meet applicable FDA, USDA, 3A, and NSF criteria. A flexible heavy-duty food-grade suction hose for the milk handling and food processing industries. In compliance with the criteria of 3-A Standard No. 20-00 and FDA. Acceptable to USDA for use in federally inspected meat and poultry plants. Reinforced, flexible heavy duty PVC food grade suction hose designed for handling various food products. Braided reinforcement will accommodate higher working pressures while maintaining excellent flexibility and light weight. Typical applications include processing wine, beer, paste food, dairy and liquid foods. In compliance with criteria of 3-A, FDA, USDA. Recommended for the transfer of products that require a hose tube with the highest level of chemical resistance. The smooth-bore design is ideal for the unrestricted transfer of fluids and promotes draining and cleaning. The hose is reinforced with multiple plies of polyester yarn with dual wire helix. This reinforcing combination provides full vacuum capabilities, kink resistance, and high working pressure ratings. Other cover colors are available (red, black, gray, yellow, green and white). Meets or exceeds the requirements of FDA & USDA under 21 CFR 177, 1550. Specifications based on Series 2450 in full coil lengths. Ask about custom assemblies of FEP lined rubber hose, higher working pressures, PTFE linings, etc. Series 2700 is a suction and discharge hose designed to handle oily and nonoily food products, liquids, sanitary products, and potable water in a variety of transfer applications. A new design for handling food, beverages, and other sanitary applications. Unique outer PVC rod helix allows the hose to glide easily across plant floors while providing excellent abrasion resistant qualities. 3-A chlorobutyl tube is contamination free and C.I.P. suitable. 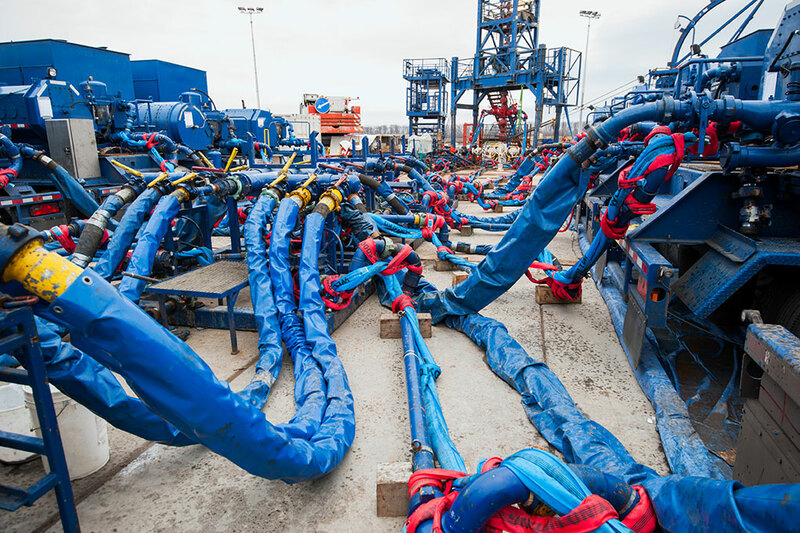 Extremely flexible for problem areas in the plant with crush resistant capabilities. Meets FDA, USDA, PMO and 3-A requirements. Designed for in-plant and bulk transfer of fl our, cake mixes and other abrasive foodstuff s. Series 2740 has a 3/16”, white NR tube to resist abrasion and the dual anti-static wires can be electrically grounded to dissipate static charges. Used in tank truck and in-plant service to convey dry, non-oily abrasive materials such as sand, limestone, plastic pellets, etc. 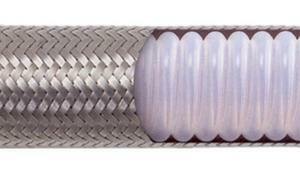 This hose is also designed to handle dry abrasive food products such as sugar, corn, etc. Recommended for conditions where extra lightweight, high flexibility and extreme bending is required under pressure, gravity flow or suction service. Not recommended for those materials where static electricity buildup is a problem. Designed to handle water suitable for drinking. Used in oilfield or industrial applications, for discharge applications only. Compliant to FDA standards. Not NSF approved. 2760-050 1/2 .80 250 .23 100’ 400’ 4 : 1 Emboss 1/2" through 4"
2760-075 3/4 1.14 250 .44 100’ 400’ 4 : 1 Emboss 1/2" through 4"
2760-100 1 1.49 250 .55 100’ 400’ 4 : 1 Emboss 1/2" through 4"
2760-150 1- 1/2 1.98 200 .77 100’ 400’ 4 : 1 Emboss 1/2" through 4"
2760-200 2 2.50 150 0.96 100’ 400’ 4 : 1 Emboss 1/2" through 4"
2760-300 3 3.58 150 1.72 100’ 400’ 4 : 1 Emboss 1/2" through 4"
2760-400 4 4.56 150 1.99 100’ 400’ 4 : 1 Emboss 1/2" through 4"
This premium hose is designed to handle water suitable for drinking in all industrial applications. The specially compounded chlorobutyl tube will not impart taste. The added features of the monofilament helix enhances vacuum rating, and the crush and kink resistance. Meets FDA, 3-A, and USDA requirements. (For temperatures in excess of 250 Deg. F for 316L stainless steel braided or unbraided and in excess of 100 Deg. F. for polypropylene braided, use the following approximate working pressure de-rating factors.